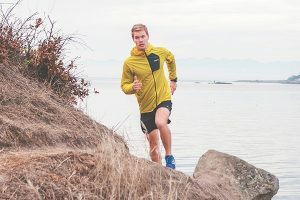 For the spring of 2018 we saw some great updates on staple shoes and the addition of three brand new shoes from Altra, Brooks and Hoka. As a trend we’re seeing cushioned shoes get lighter and lighter. 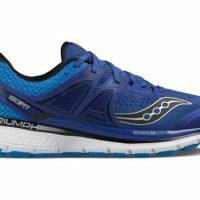 The stereotype that cushioned shoes are only reserved for slower training runs is quickly becoming a thing of the past. 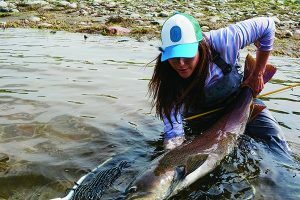 Companies are increasingly finding ways to shed ounces without sacrificing comfort and cushioning. 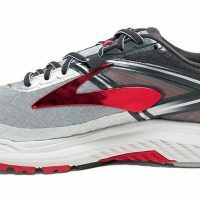 This trend was evident this season with three shoes, the Hoka One One Mach, Altra Duo and On Cloudflyer all coming in under the nine-ounce marker. However, the shoe that stood out among the group was the Hoka One One Mach, which earned the Best In Class Award. 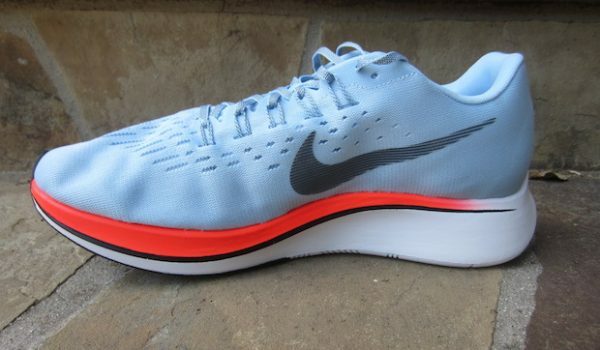 The Mach offered runners the whole package, comfortable, cushioned and down right speedy. Interested in joining our running shoe test team? Email us at recruiting@gearinstitute.com. 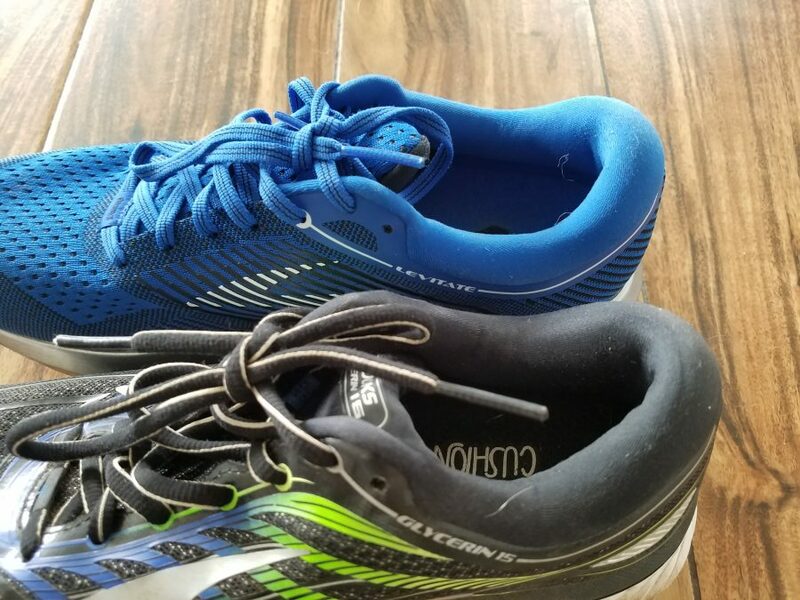 The Mach is one of the best well-rounded road shoes we’ve tested and as one tester put it, “If I could only have one road shoe this would be the one.” It had the whole package; it’s lightweight, responsive, cushioned and just whole lot of fun to run in. A direct descendant of the Clayton, the Mach maintained everything people enjoyed about the Clayton, while fixing everything people didn’t like. 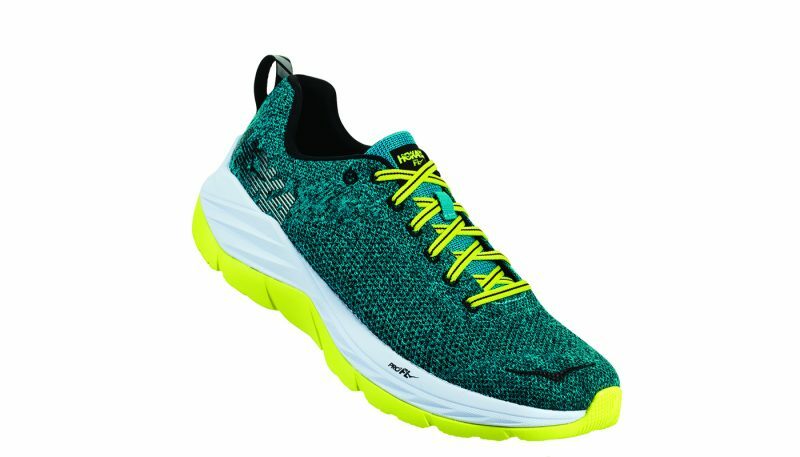 Hoka’s new dual density ProFly midsole delivers seemingly opposing forces of a soft landing with a firm take off. 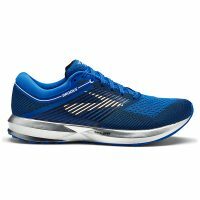 As a newcomer to the Brooks cushioned lineup, the Brooks Levitate proves it already earned the right to sit alongside best sellers like the Glycerin and Ghost. Boasting a brand new midsole compound called DNA AMP, the Levitate blends a uniquely springy and fun cushioned ride with a snug fitting, secure upper. 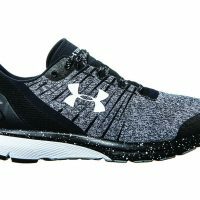 While our testers raved about how comfortable and enjoyable this neutral everyday trainer was, they also found the shoe to be one of the slowest in the cushioned class. Tipping the scales at 11.2oz for men and 9.7oz for women, the Levitate is best suited for days when speedy times aren’t a priority and comfort rules. 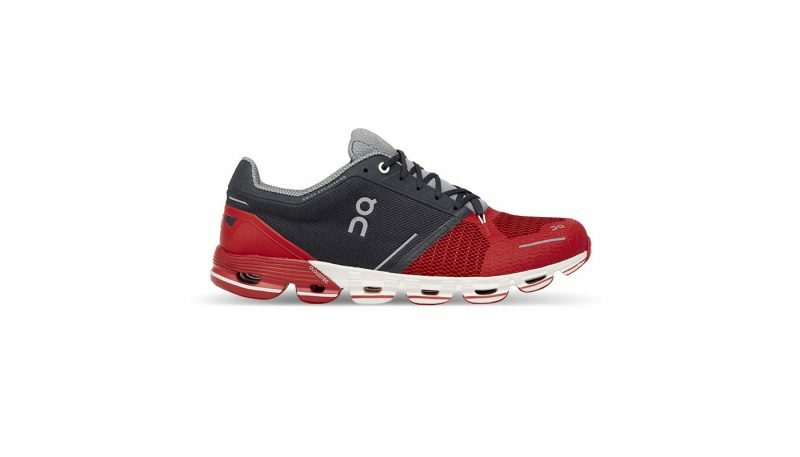 On’s approach to the Cloudflyer is simple, freedom of movement with added cushioning while still maintaining a touch of stability. 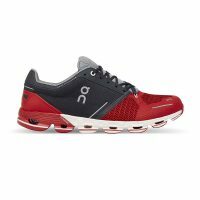 The Cloudflyer is a lightweight, flexible trainer that has characteristics of both a minimalist shoe and stability trainer. 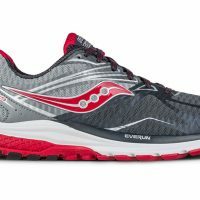 Most suited for lighter runners who appreciate a less-restrictive shoe that rides close to the ground, it lacks the structure most comfort trainers have. The flexibly and minimal design decrease durability, causing it to be one the least durable shoes tested. 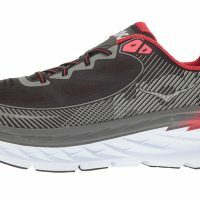 As the newest addition to the Altra line of zero drop road shoes, the Duo brilliantly strikes the ultimate balance of cushioning-to-weight ratio. 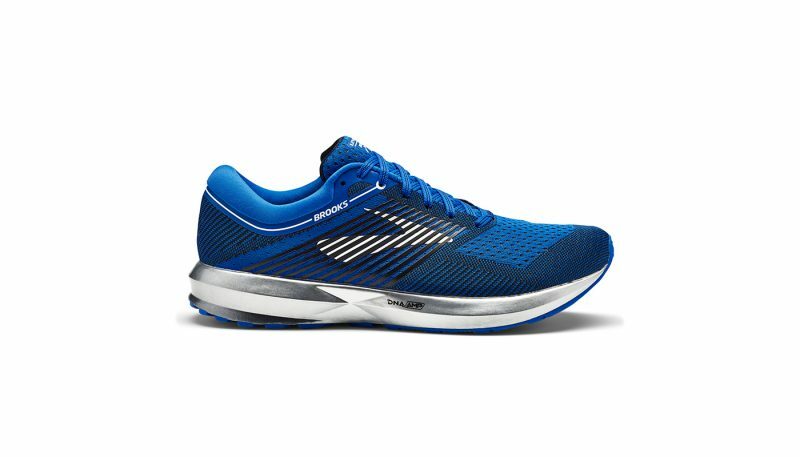 Despite a the massive full length 31mm stack the Duo tips the scales at an astonishing 7.9oz for men and 5.3oz for women, making them one of the lightest and fastest shoes in the cushioned category. 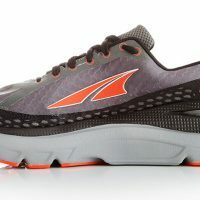 The Duo, like all Altra shoes are headlined by Altra’s unique Foot Shape design, to allow the toes to splay out naturally and a zero drop for a more naturally balanced run. While this rather non-traditional approach does take time to adjust too, the ride is easy going, responsive and cushioned. The only downside is some my find the excess space to feel insecure, giving the shoe a loss fit. 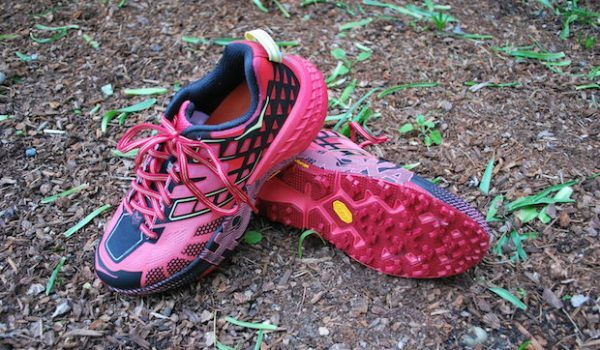 While all of our testers agreed the New Balance 1080v8 to be one the stiffer more rigid shoes tested, it’s beefy build and firm midsole also made it one of the most durable shoes we’ve tested. 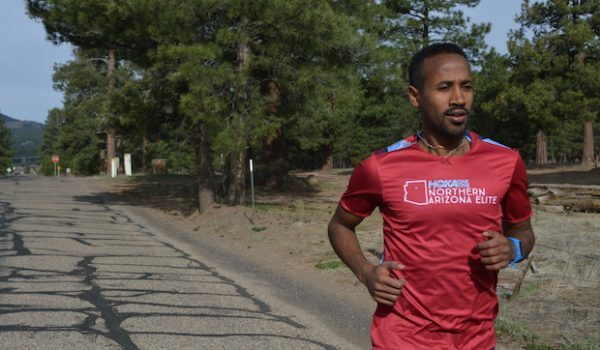 With a small sweet spot favoring heavier runners who can generate enough force to get flexion through the stiff midsole, lighter runners may struggle with the stiffness and find the shoe difficult to handle. Once in the saddle, a tight knit mesh upper offers a secure fit and accommodating toe box. 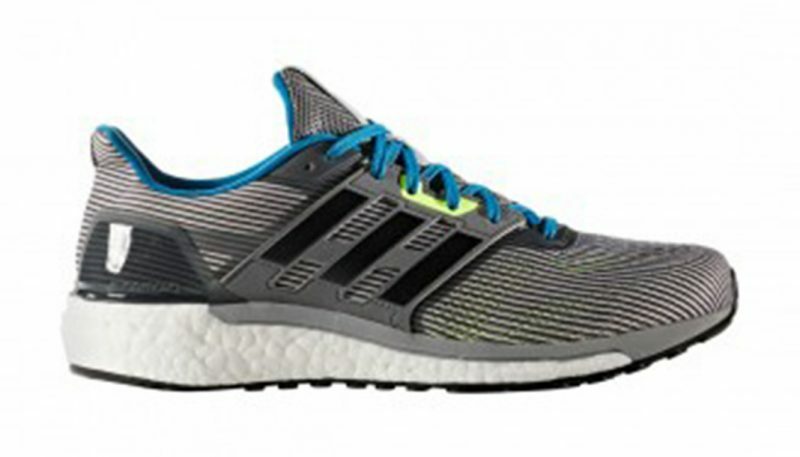 The Adidas Supernova covers all the bases: an endless supply of energy-returning cushioning and a responsive fun-to-run-in ride at an excellent value. 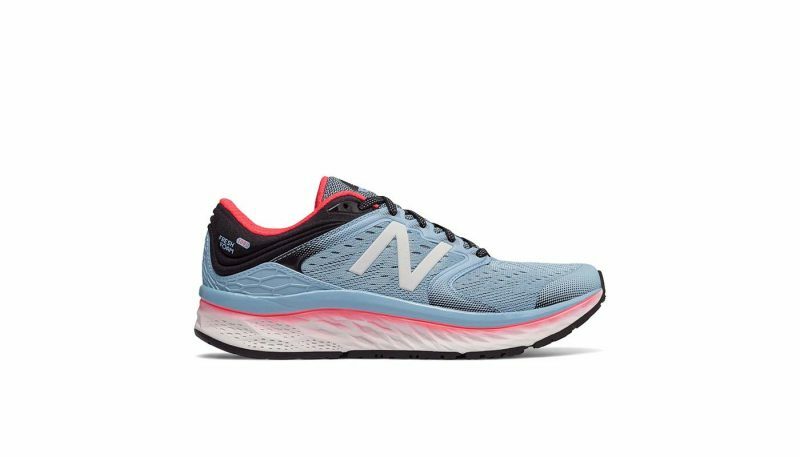 The Supernova proves itself as a great option for a wide array of runners, offering exceptional cushioning without sacrificing performance though breathability could be improved. 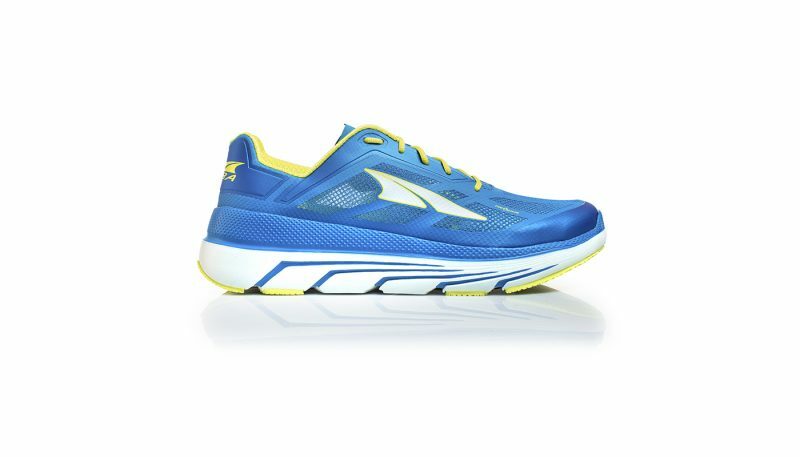 The Brooks Ravenna 8 is hands down the winner for best performing daily trainer with support. Offering mild support from overpronation, the Ravenna 8 feels more like a neutral running shoe, which is why it out-performed all the other supportive shoes tested this season. 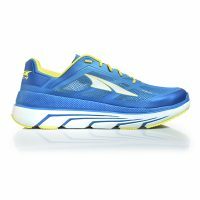 The Brooks Ravenna 8 is a comfortable, responsive and reliable daily trainer with the peculiar combination of a narrow fit and an overly roomy toe box. 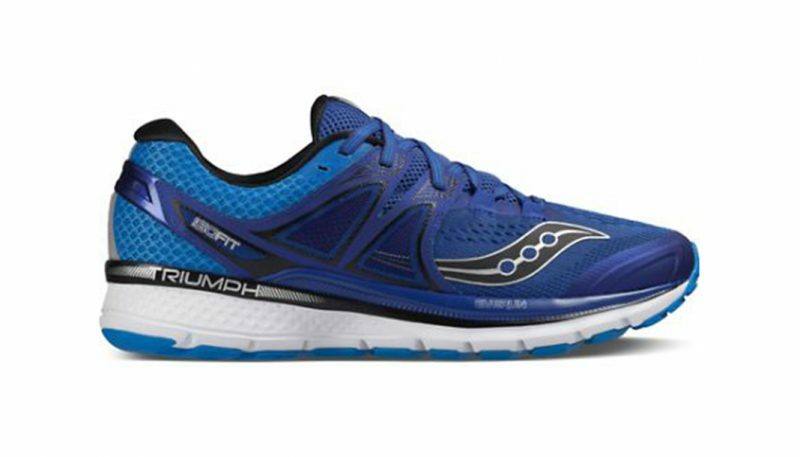 The Saucony Triumph ISO 3 is a top pick for those wanting soft cushioning for cranking out lots of miles. 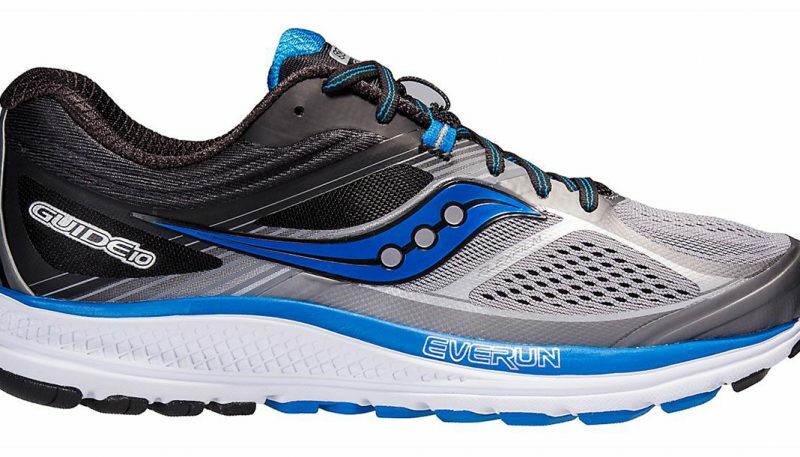 Saucony improved the upper from the previous version, making it softer and more flexible. Nevertheless, it still feels bulky to wear. 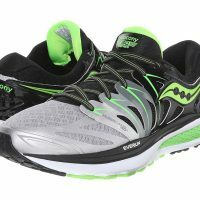 Classified as a stability shoe, the Saucony Guide 10 runs more like a hybrid of neutral cushioning with supportive stability. 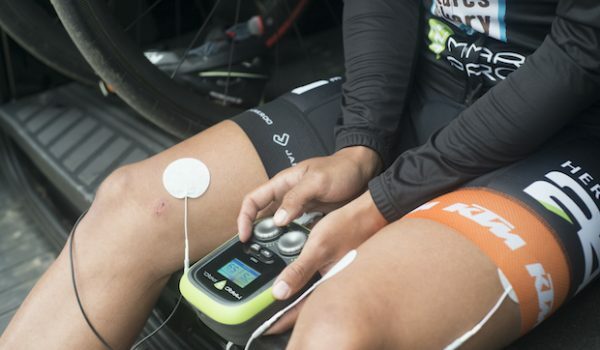 Offering a much softer ride than other stability shoes, the Guide 10 outperforms the other stability shoes in just about every category making it a great option for those needing mild support while still maintaining great overall performance. Nothing beats a great-fitting, comfortable pair of running shoes. Mile after mile your feet pound the pavement with roughly three times your body weight and the only protection between the ground and your feet (hence your knees, etc.) are a pair of shoes. 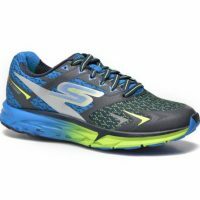 Having a good pair of running shoes to protect you is the single most important piece of equipment a runner can own, yet with so many options on the market today, finding the perfect pair can be an exhaustive and often times an uninformative process. 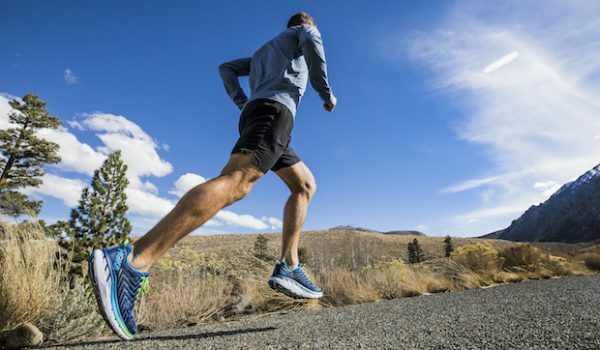 To help simplify the shoe buying process Gear Institute divides road shoe tests between two categories: Cushioned and Lightweight Road Shoes. 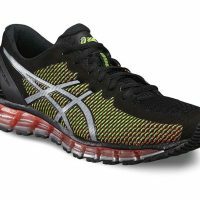 Cushioned shoes are designed primarily for shock absorption and comfort. 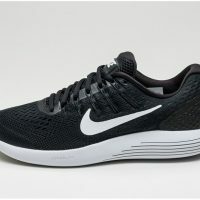 They tend to have thicker midsoles and are heavier which make them slower and less efficient then their lightweight counterparts, but are generally more comfortable and durable. Shoes weighing 10 ounces for men and 8 ounces for women and/or have stack heights (the total height of material between the ground and your heel and toes) of 20mm or more under the heel are placed in the cushioned category for testing. 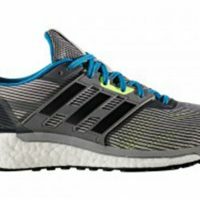 While it’s not necessary to know the entire anatomy of a running shoe, it is helpful to understand a few key parts of the shoe. 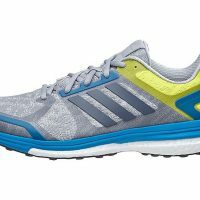 The two most predominate parts of a running shoe are the midsole and the upper. The midsole, which makes up the majority of material between your foot and the ground is usually made of either a ethyl vinyl acetate (know as EVA) or a polyurethane foam compound. Every company’s midsole is unique and can vary greatly from super soft to downright firm. 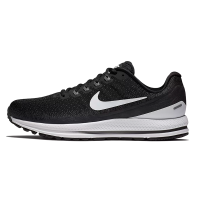 The marker of a well made midsole isn’t how firm or soft the foam feels (that’s more of a matter of personal preference), but how the midsole absorbs energy as it strikes the ground and then is able to return that energy upward and forward. This energy give-and-take measures the responsiveness of a shoe. 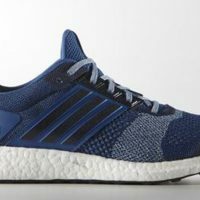 Typically softer midsoles will be less responsive then their firmer counterparts. The upper encompasses almost everything above the midsole and is primarily designed to comfortably secure the shoe on your feet. A well-designed upper will be soft, breathable and will securely wrap the foot. One of the trends we saw during our test was the tendency to lighten up and reduce heavy overlays throughout the upper, enhancing both comfort and fit. A look at the ankle collar padding of the Brooks Levitate as compared to the Brooks Glycerin 15. 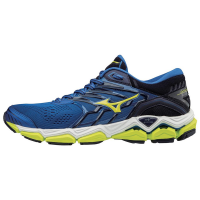 Most runners look to shoes in this category to offer a comfortable fit and enjoyable ride. Comfort is most affected by two things: how the upper fits and feels and what the underfoot experience is like. As expected, comfort was the highest average scoring category across all our mini-categories with an average rating of 7.6. 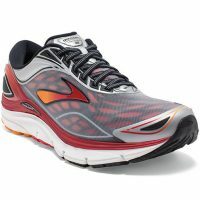 One shoe easily emerged as the most comfortable, the Brooks Levitate. 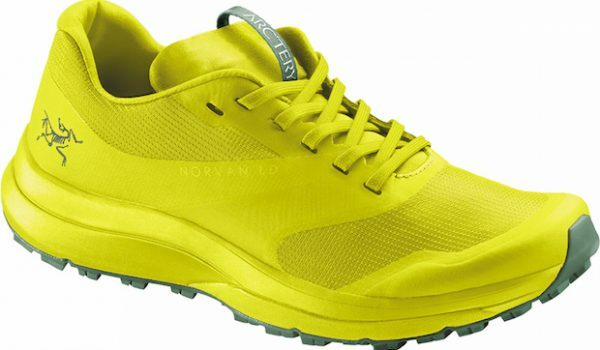 Testers raved about how comfortable and enjoyable this neutral trainer was. 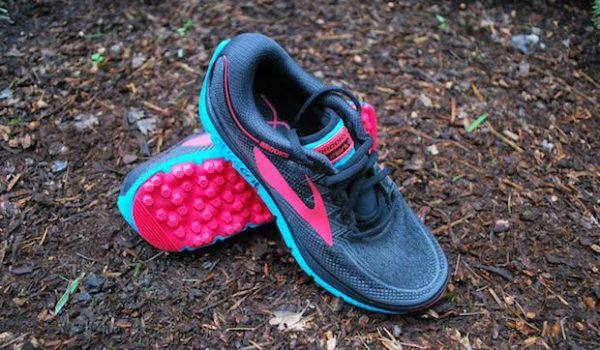 Outfitted with the all-new Brooks DNA AMP midsole, the Levitate is true bliss for your feet. 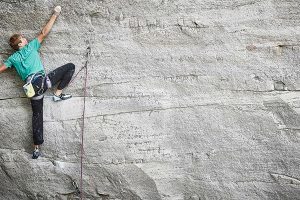 Fit can be somewhat subjective, so to keep things consistent we look at what the majority of our testers noted regarding how each shoe fit them. The best fitting shoe as noted by our testers was the New Balance 1080v8. It scored a 9 out of 10. 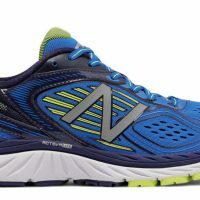 The New Balance 1080v8 pleased all our testers with it’s soft form fitting upper that seemed to wrap the foot perfectly while accommodating a wide range of foot widths. Another top fitting shoe, our Best In Class winner, the Hoka One One Mach also offered a well-fitting soft upper designed with smooth syncing lacing system. Finding the perfect balance between feeling too soft and too firm can be a tricky task for shoes designed primarily for comfort. However, Hoka did an excellent job of assuring the Mach was both soft and responsive. 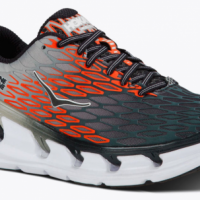 The Hoka One One Mach scored a 9 out of 10 in responsiveness due to the midsole ability to pop with each ground strike while giving the runner an energized feeling. 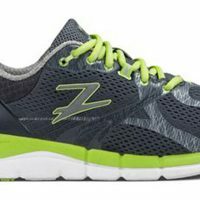 The Brooks Levitate and New Balance 1080v8 landed as the least responsive shoes, each scoring only a 4 out of 10. Testers found the midsole on the Levitate to be way too soft, sapping the majority of energy needed to score high while the 1080v8 was quite the opposite—firm and lacking pop. 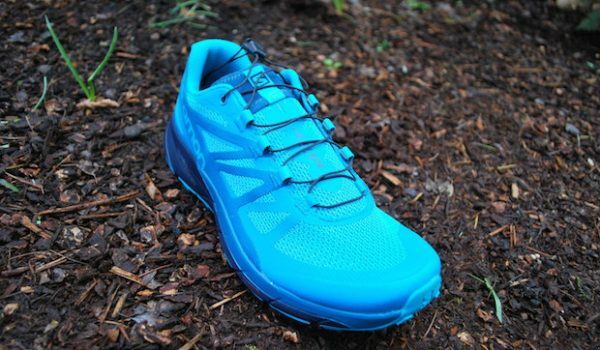 A look at the three lightest and fastest shoes: On CloudFlyer, Altra Duo and Hoka One One Mach. 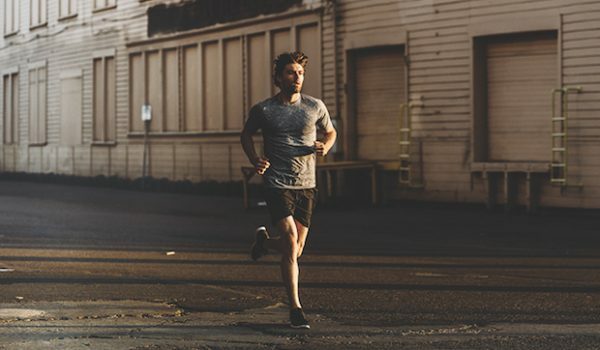 While speed isn’t a top priority in shoes fitted for comfort, it’s always nice to know you can pick up the pace without your shoes holding you back. The fastest shoe tested belonged to Hoka One One’s Mach. 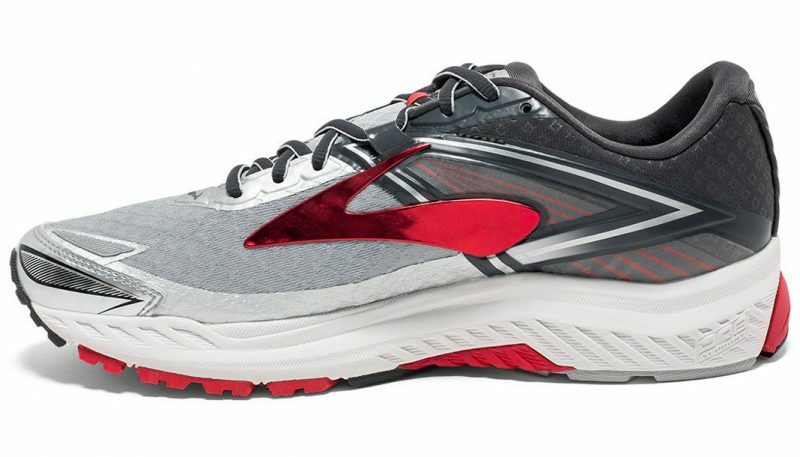 The Mach is part of Hoka’s new Fly Collection. 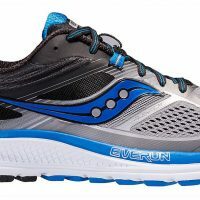 Three shoes focused on maintaining a soft cushioned ride while offering a speedy ride. 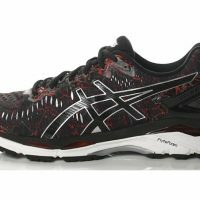 The combination of a responsive dual density midsole with the light overall weight fostered a shoe that was both comfortable and capable of moving fast when needed. 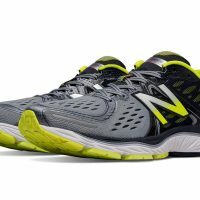 The slowest shoes of the test were the New Balance 1080v8 and Brooks Levitate, whose heavier weight made them better suited for slower runs. 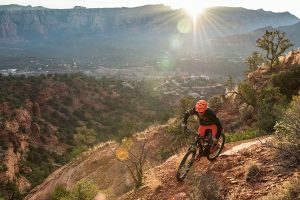 While everyone’s ideal ride will vary, there are certain aspects of how a shoe runs that give the shoe a smooth riding quality. 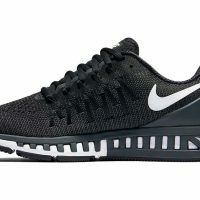 The best running shoes will have a smooth and even feel underfoot, making a seamless transition from footstike to takeoff, regardless of where the foot strikes the ground. Scores were across the board, ranging from a near perfect 9 to the slightly subaverage 4 on our charts. 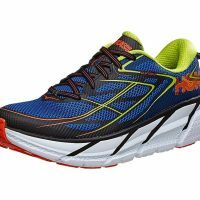 Most of the shoes tested offered a enjoyable ride scoring in the 7 range, however our Best In Class winner, the Hoka One One Mach offered the smoothest ride of the bunch. 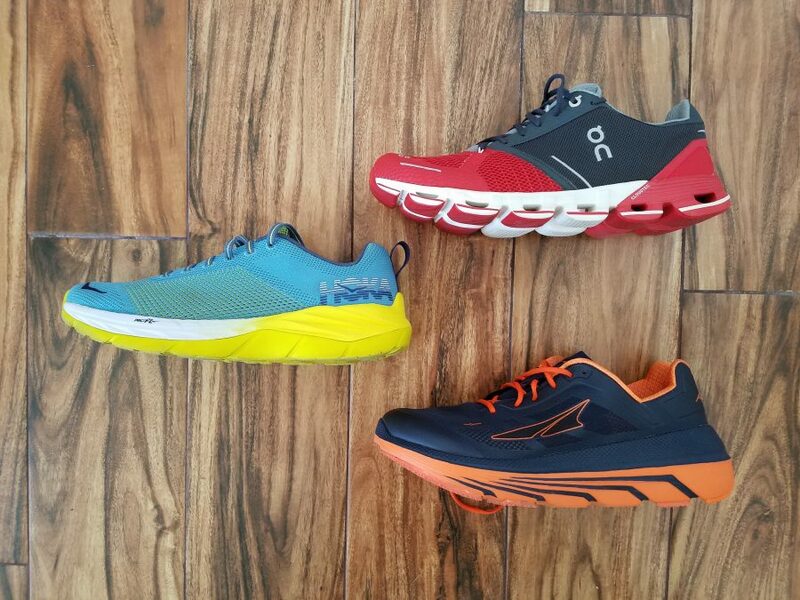 Overall, spring 2017 had a diverse group of shoes from downright cushy and comfortable as seen in the Brooks Levitate to stripped down and super light with the Altra Duo. 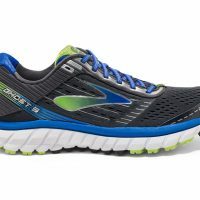 Half the shoes tested this season—those from Hoka, Altra and Brooks—were brand new models while the others were updates on previous models. Each shoe was put through miles and miles across male and female testers. 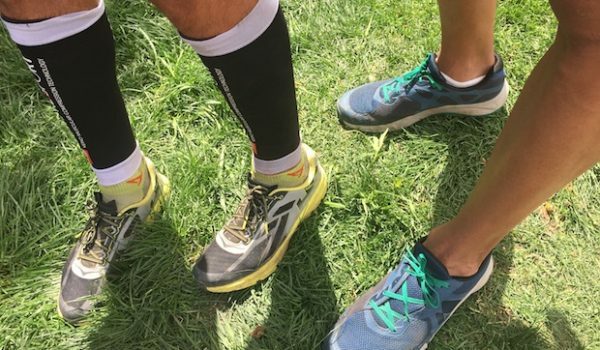 When all the results were in, there was agreement across all testers: Hoka One One Mach was the top choice. 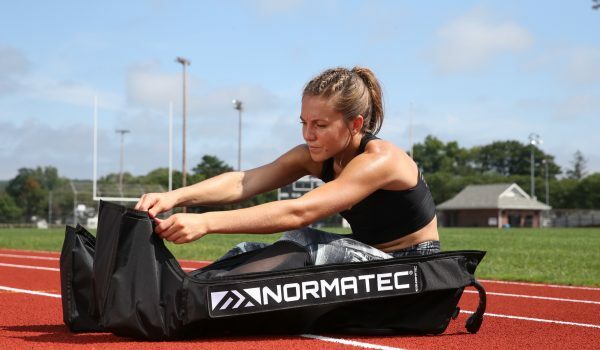 It offered the whole package—lightweight design in a cushioned responsive ride. 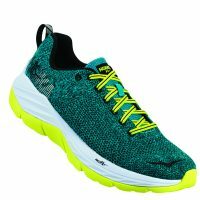 While the Hoka One Mach was clearly the top among all shoes tested there was less of a spread between the rest of the shoes. Only a one point difference separates the next top four shoes. 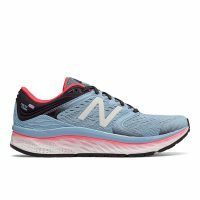 The Brooks Levitate highlighted by it’s soft fitting upper and ultra plush midsole was tops in comfort while the New Balance 1080v8 offered testers the most consistent and best fitting shoe. 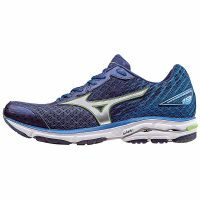 On’s Cloudflyer with its unique midsole design gave runners a more natural minimal feel, while still offering a hint of cushioning. 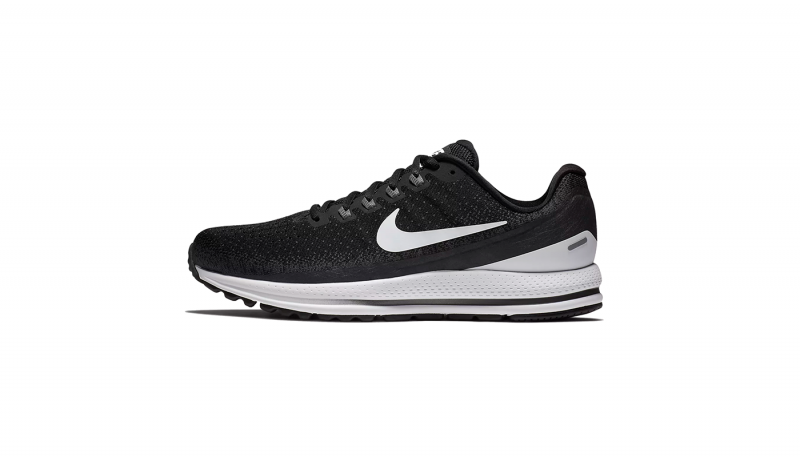 Perhaps one of the most classic cushioned trainers, the Nike Vomero 13, remained largely unchanged—the Nike Vomero 12 was our Best In Class winner two seasons ago. 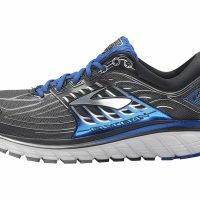 The newly added Altra Duo surprised our testers with its astonishing light overall weight while maintaining 31mm of cushioning underfoot. 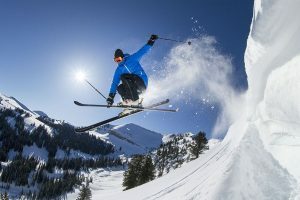 Each summer and winter when shoe companies release their latest models Gear Institute receives the top shoes and puts each through an extensive testing process. 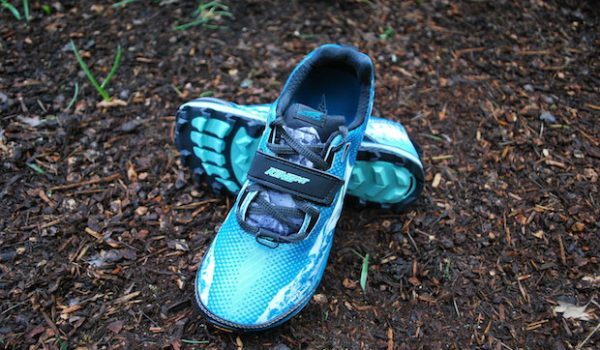 A team of five male and female testers put each shoe through the test of miles over terrain such as concrete, asphalt, grass, dirt and track. Each shoe is judged on five categories: Comfort, Fit, Responsiveness, Speed and Ride Quality and given a score of 1 to 10, with 10 being perfect. Testing protocol for road running shoes involves an extensive hands-on process across multiple testers over a period of at least two months. 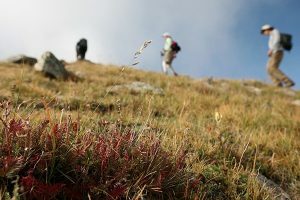 Each tester is an avid runner, running over 30 miles per week over varying terrain including but not limited to concrete, asphalt, grass, track and dirt. The testing team is structured with a team lead and several wear testers. All testers, including the team lead and wear testers receive samples of each shoe to be worn over a period of at least two months. Techniques such as running one mile in one pair, then switch to another shoe are used to compare the subtleties of each shoe. Each tester records his/her overall impressions of each shoe and details relating to comfort, fit, responsiveness, speed and ride quality. The team lead then collects the reports to generate the final reviews.